Over the course of eleven days in April, tens of thousands of peaceful protesters in Armenia succeeded in forcing the country’s long-serving leader to step back from power. In an unusually uncontested political confrontation, the long-time Armenian president-turned-prime minister, Serzh Sarkisian, ended a decade in power by resigning surprisingly quickly and easily, commendably refraining from any resort to armed forces to stay in the office. The forced resignation of the entrenched leader was a rare success of “people power,” defined as a campaign of civil disobedience, where peaceful protestors succeeded without any incidents of violence. Although the new political reality will necessitate a special snap election of a new Armenian parliament, the election of opposition leader Nikol Pashinyan as the country’s new prime minister marks a watershed moment for Armenia. But as important as that achievement was, it may have been the easier part, as the current challenges of forging consensus, finding compromise and managing the imperative of governance are even more daunting. Moreover, the pressure of dangerously high expectations for the new Armenian government to deliver quickly poses real challenges. 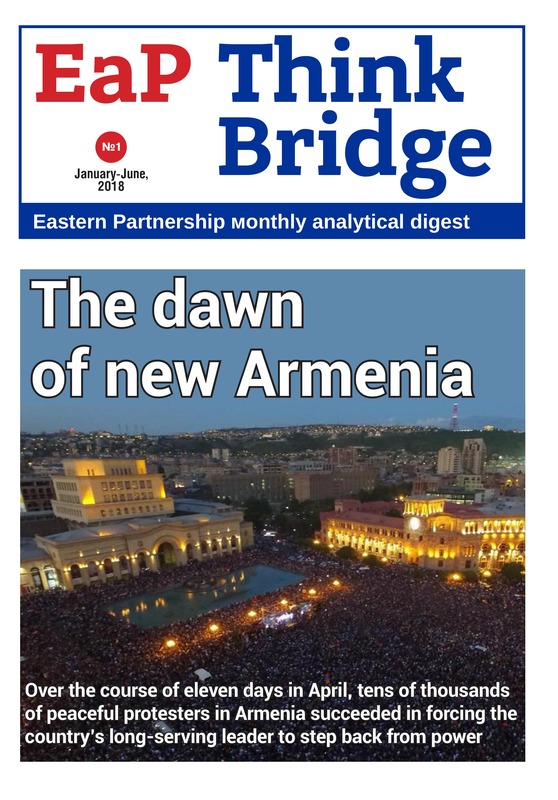 Nevertheless, a “new Armenia” has already emerged. Although it has been unexpectedly successful, it is not yet a revolution, as the old system needs to be replaced and repaired, with added necessity for regaining and restoring public trust and confidence. But a new day has dawned in Armenia and change is now not only certain, but is also well underway, with marked progress in terms of both reform and efforts to combat corruption. In terms of the political constituency of the recently elected new Prime Minister, opposition leader Nikol Pashinyan, there are three important pillars. First, the wave of mass demonstrations stood apart from earlier political protests due to its positive and peaceful approach. There was little anger compared to enthusiasm and later, even victorious jubilation. This is revealing because it affirms the fact that the largely youthful protesters represented a new, much more constructive wave of activism, with many rallying around Pashinyan and embracing non-violence and civil disobedience as their first experience of political activity. A second element of this constituency was rooted in the fact that as the opposition held the initiative and maintained their momentum, the demographic profile expanded rapidly and visibly to include older demonstrators and bridge the country’s socio-economic and urban-rural divides. And the third element stemmed from the deep and entrenched lack of popularity of the ruling Republican Party. With the absence of free and fair elections Republicans as the elite in power exercised an “arrogance of power” for over a decade and dangerously ignored popular demands for change and expectations of reform. Yet, a related question now is to what degree the new Armenian government can retain the support of such a broad and diverse constituency. And with dangerously high expectations and pressure to deliver results rather quickly, the only way forward is to forge a new, broad-based coalition, to offer an opportunity for political reconciliation and to meet the challenges of governance, including the necessity for new parliamentary elections to match and reflect the new Armenian political reality. Moreover, looking ahead, there is a need to rebuild trust and restore public confidence, and to prevent the Republican Party from obstructing reform. And the best avenue for such smooth political change is to seek consensus and stress compromise within the parliamentary system. Clearly the most fundamental difference in policy is already evident in terms of style and essence. For example, several moves by Pashinyan, ranging from his negotiations to his election, included the element of transparency and public engagement. This further reflects the divergence from the old system of closed and secretive politics and an opaque process of public policy. Thus, there both has been and will be a stark and serious contrast in the approach to governance. And in many ways, the outgoing elite was much more comfortable with “ruling” Armenia, while ascending opposition is much more committed to “governing” the country. More specifically, however, in terms of policy difference, the field of foreign policy stands out as one major difference, for three reasons. Firstly, and most fundamentally, the primary focus of governance will remain centered on the domestic agenda, mirroring the protests and meeting the rising expectations of the people. This also implies that the domestic reality will crowd out all other policies. Secondly, and more broadly for any new government, there will be both a desire for calmness and a return to normality. In foreign policy, this means reassuring Russia that there is to be no sudden “U-turn” in policy or shift in strategy, which is crucial in order to both avoid prompting any Russian interference or provoking any Russian move to undermine the new government. But the third factor is perhaps more distressing, and suggests that for domestic political reasons, any compromise or concession in the peace process with Azerbaijan over the Nagorno-Karabakh conflict will only be more difficult and less likely. Armenia may instead push for an opening for Nagorno-Karabakh diplomatically, rooted in less of an Armenian “monopoly” to negotiate on their behalf and an attempt by Karabakh to return to the peace process talks as a full party . Given the fact that Armenian civil society is deeply engaged in supporting reform and has reached a degree of political prowess, there is little danger of any setback or reversal of its role as advocate for deeper democratization and more robust economic development. However, by the very nature of its role in society and its commitment to reform, this also means that Armenian civil society needs to continue its pivotal mission to challenge any government, no matter who leads it, and to demand greater accountability. In real terms, this suggests that civil society not only needs to redouble its focus on the domestic agenda, rewarding the reform effort when successful, but also challenge the government in the event of any policy shortcomings or retreats. Yet such a role is also crucial for the new government that will already feel pressure to meet the rising expectations of the people. And although the initial stage of expectations will naturally include a desire for immediate returns, the new government will enjoy only a brief period of popular patience and time to deliver. And a related factor, the potential role of the Armenian diaspora, as an engaged and interested partner, is also important. This also requires a more nuanced policy of engagement, however, whereby the Armenian diaspora needs to elevate concerns for the democratization and economic development of the country, and demanding that Armenia become more of a “center of gravity” for the diaspora, and less of a tourist destination or a mythical concept. And more broadly, while the sudden resignation of the Armenian president-turned-prime minister was as abrupt as it was unexpected, it was, after all, an individual resignation, and not yet an institutional revolution. Thus, looking beyond the inspirational importance of such a rare achievement, a victory of non-violent “people power” over a long-time, deeply entrenched incumbent leader, the hard part is now only just beginning, involving the challenges of governance. In the wake of the abrupt, forced resignation of Serzh Sargsyan, the new political reality in Armenia also has several significant implications for foreign policy and regional security no matter who takes over the next government. In a broader sense, the victory of the opposition in Armenia is also the victory of the EU, in terms of ideals and ideas. For example, the reforms, the emphasis on the rule of law, and the necessity for deeper democracy are all priorities that are much closer to the EU than to Russia. And for the new Armenian leadership, there is a unique opportunity to pursue a greater degree of strategic significance for the EU and an arguably more strategic position within the Eurasian Economic Union (EEU). More specifically, Armenia has been able to leverage the downturn in fortunes of the Eurasian Economic Union (EEU) and exploited Russian recognition of the need to garner greater legitimacy and credibility of the EEU. 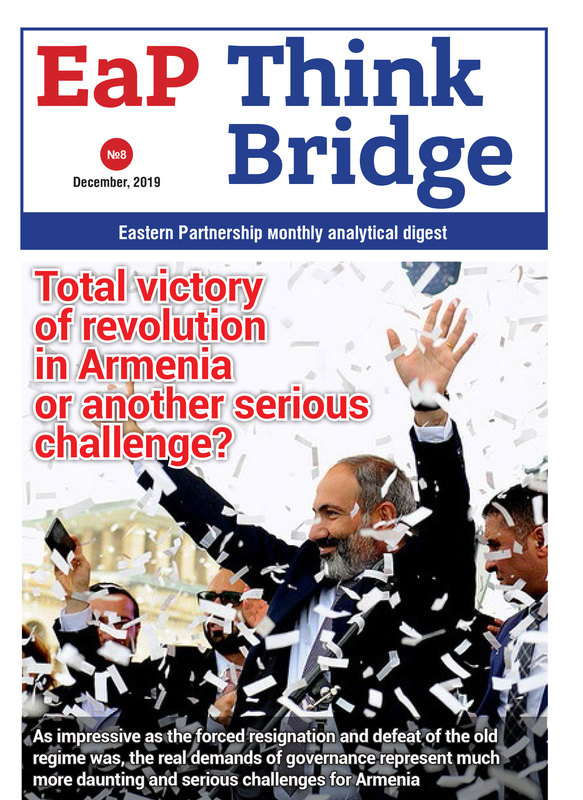 In this context, Armenia’s strategy is to use the new EU-Armenia Comprehensive and Enhanced Partnership Agreement (CEPA) to actually serve Russian interests by becoming a “bridge” between the EU and EEU and thereby offering a greater degree of credibility for the EEU. At the same time, Armenia’s geographic position, despite the lack of land borders with the EEU itself, was also reinterpreted as an advantage. The country’s location offers the EEU alternative avenues to leverage Armenia’s relations with Iran, proximity to the Middle East and even interest in the feasible benefits from the possible reopening of its closed border with Turkey. Although it is very unlikely that Armenia will withdraw from the Eurasian Economic Union, the issue is significant for two specific reasons. First, Armenia needs to formulate a new strategy to either re-negotiate the terms of its membership or to at least seek preferential treatment for a very important challenge – the imposition of higher tariffs on Armenia, specifically referring to the coming expiration of the exemptions of some 800 Armenian products and goods that are not required to be subjected to the higher tariffs of the Eurasian Economic Union. And a second significant factor is the related reality that such a debate in the parliament will only strengthen Armenia’s position in such renegotiations with Moscow and other EEU members. The Armenian government can demand more and argue more effectively for its position by pointing to less than expected support within Armenia. And Armenia’s strategic importance is greater now than in 2013, when Moscow saw Armenia as the sacrificial pawn and leveraged its successful pressuring of Yerevan as a message of strength aimed to deter other Eastern Partnership countries. But now the timing and the context are different, and there is no longer such need to pressure Yerevan, with Moscow also sensing little danger of “losing” Armenia to the EU no matter what new agreement is reached. Еspecially since any new agreement would be less than the broader Association Agreement and DCFTA. Thus, Russia provided Armenia with a much greater degree of maneuverability, as seen in little real interference over the negotiations between Armenia and the EU in this second attempt at redefining the relationship. And looking ahead, in terms of overall national security, Armenia will now seek to garner greater strategic alternatives. For Armenia, the guiding principle of defense, development and foreign policy is driven by a “small state” strategy designed to seek “balance” between the competing interests of much greater regional powers, such as Turkey, Russia and Iran. This quest for balance also involves efforts to maximize strategic options, as evident in the country’s inherent contradiction of maintaining a close relationship with Russia while deepening ties to the West. Beyond the success in regaining and restoring Armenian relations with the European Union, Armenia has also significantly deepened ties with China. However, the most important element of Armenia’s strategic “pivot to China” is not limited to trade. The emergence of a more robust military and security relationship with China stood out as an equally significant achievement for Armenia. More specifically, despite its security partnership with Russia, the new Armenian government will seek an alternative to the over-reliance on Russia. Obviously, the danger for Armenia stems from the now apparent over-dependence on Russia after several years of a steady mortgaging of Armenian national interest, involving the Russian acquisition of economic sectors, the reliance on Russian gas imports, and more structurally, Armenia’s position as Russia’s foothold in the South Caucasus. This latter factor results from Armenia’s sole position in the region as the host of the only Russian base, as a member of the Collective Security Treaty Organization (CSTO) and, most recently, of the Eurasian Economic Union (EEU).